Today has been one of these rainy days when Hamburg wants to fool you into believing that summer is over. 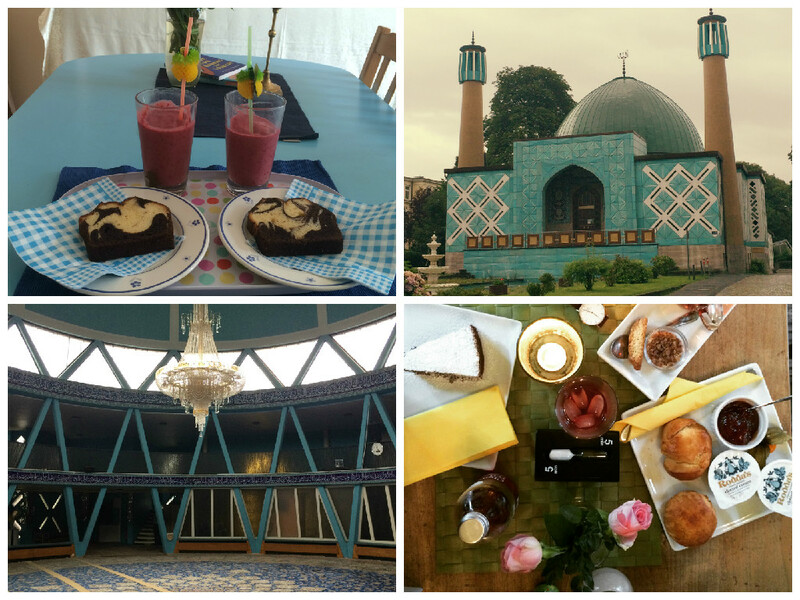 After I had forced Ingrid to take a walk with me, popped into the local mosque (I have never been in a mosque but always wanted to), and had tea time with scones at a café, we went home to my place, lit candles and drank green tea, thus conceding to the fall atmosphere. And then I carried my three boxes of letters into the living room. Some years ago, I sorted my letters by senders and bundled them pretty ties. 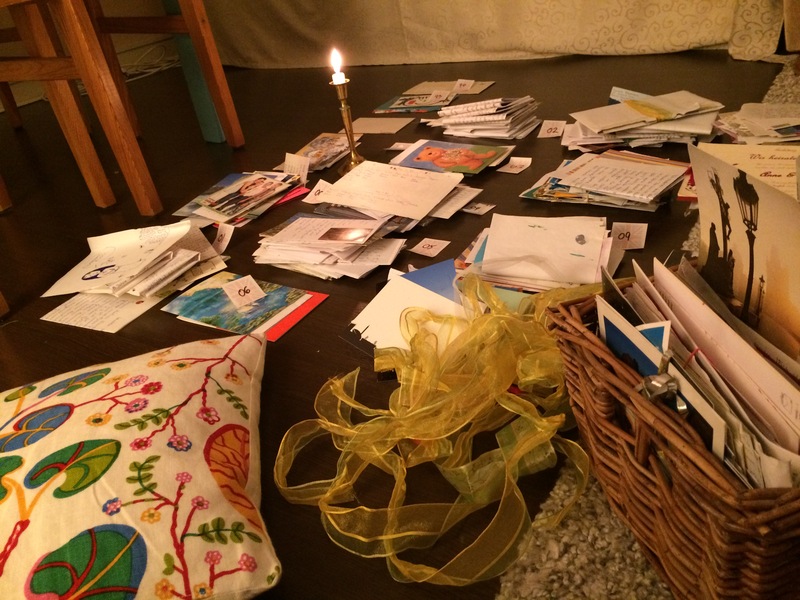 When my friend Frederieke told me last year that she sorted her letters by years, I, a historian, realized that her method appealed much more to me. There are also self-drawn cards with a nun saying “Repent!” and on the inside “And congratulate Helen on her birthday!” I should mention I attended an all girls’ school run by sisters. In later years now, there are wedding invitations and birth announcements from friends’ babies. Card from my mom when she was in Myanmar. 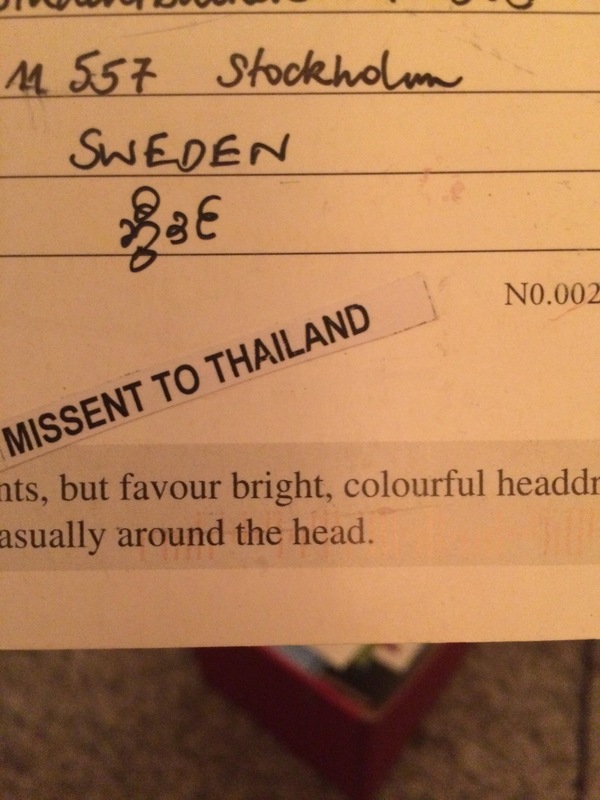 Apparently is was missent to Thailand because Thailand and Sweden are so easily confused. In my final year of high school, there is a letter from chancellor Angela Merkel who my friend and I apparently wrote to. There are letters from children’s books authors who I had contacted postally to express my admiration. There are long letters from pen friends who inform me about their schedule at school in Sweden or their grades in Croatia. 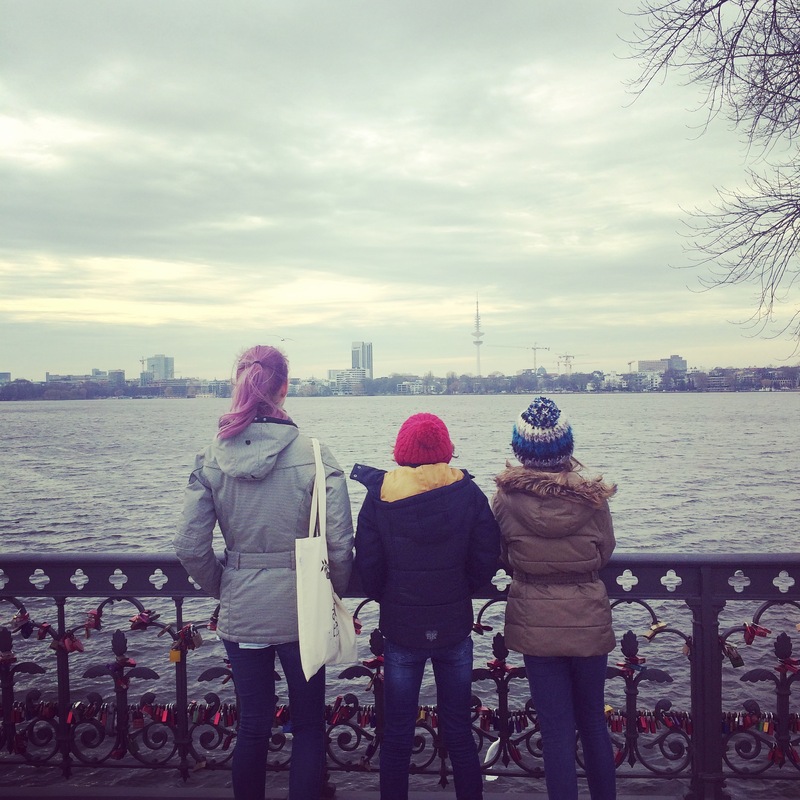 The letters of my friend Maike always stand out through their unparalleled use of words; elaborated language register does not even begin to cover it. Every year, there is a birthday card from our former landlady who ‘adopted’ me as her ‘grandchild’ when we used to live there. All the years, be it 1999, 2005 or 2014, have a birthday wish from her in their bundle. When my little siblings by choice went abroad for highschool, I received letters from France and the US, describing their stay. My aunts and parents sent me affectionate letters here and there through the years to the different places I lived. Certain friends are especially diligent correspondents, filling page after page with their recognizeable handwriting, and the funniest cards with the shortest lines usually come from Emily. Some of the envelopes I could only file into the right years by looking at the address. “Sernanders väg 9, oh that was my first year in Uppsala. And this is Sernanders väg 8, that was where I lived my second year”. These letters are historical sources even if I am not an important person in history (history of the common man, you know!) and although it is easier to sort them when the writers dated them or the post stamp is clearly visible (best post stamp visibility in the world: Gothenburg! ), it is of course fun for me to decipher the year from the content. Someone is referring to my first move to Sweden? Ah, this is from 2010. Someone congratulates me on me becoming a teen? The year must be 2001. The letter is accompanied by a newspaper article about Princess Estelle’s birth? Sort it into 2012. So if you ever wondered if it is worth sending me a postcard or a letter, rest assured that I highly appreciate them, I archive them and I read them even decades later because they are written witness of my life’s journey. I took last Monday off at work to go to my parents’ and meet my stepsister and her little family. They have a daughter that just turned one and that girl is so freaking adorable I don’t even have accurate words to describe it. She is, along with my friends’ baby girl who’s being christened this weekend (yes, I am attending and yes, it’s in Sweden and yes, I wanted to cut down on Sweden-trips), the happiest baby I’ve ever met. When I was younger I sadly thought I would never become an aunt because I have no siblings. In my family, “Auntie” is a honorary title and I’ve called my aunts with that prefix until I was a teenager. So the fact that my stepsister speaks of me as “Aunt Helen” to her little daughter is rather delightful. The little toddler has already learned to walk and dashes through the living room on her still wiggly feet, often falling down, but always immediately rising anew with her very own way of getting up: putting her weight on her tiny little hands, stretching her diapered derriere as high as possible as if performing a yoga exercise and then pushing her legs in place. She is also a very friendly child and after some hours around me she deemed me reliable enough to be carried by me. What impressed me as well was that, even though she obviously cannot talk yet, she seems to understand a lot. Even words like “Kindergartentasche”. (daycare bag) I mean who else learning German only for one year would be able to get that word?